How many times have you been told by your grandmum, mum or a friend – ‘Take care of your skin’? Well, I’ve probably been told a zillion times and it’s only now that I’m getting older that I realise why it is so important to take care of your skin! Age is undeniably catching up and I have noticed how my once-upon-a-time oily skin has slowly turned into dry, dehydrated skin. But that’s not my only skin concern – oh no sir!… I also deal with adult acne, scarring, dull skin and pigmentation (doesn’t it sound wonderful?! 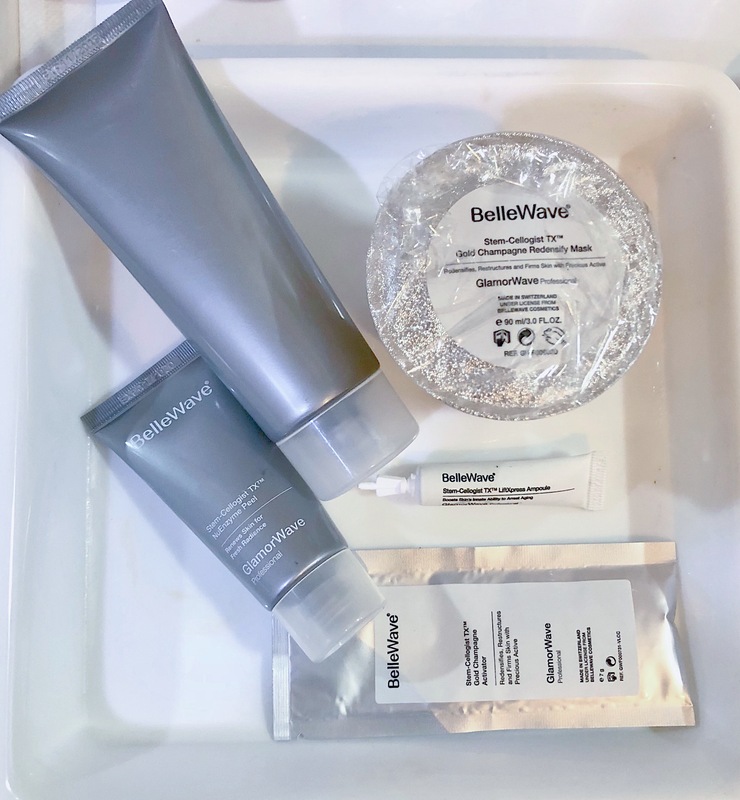 ), so when I received a media invite by VLCC to come in for a BelleWave Stem-Cellogist TX™ Facial Treatment, I jumped at the opportunity and said yes! BelleWave Stem-Cellogist TX™ Facial Treatment is a Nobel Prize-Winning Discovery that is based on telomeres that helps to reconstruct, regenerate and recreate youthful looking skin. It is a comprehensive 5-step treatment that claims to help stimulate your skin’s ability to continually regenerate younger looking skin, all thanks to the key active ingredient – TeloXtend-TX™. 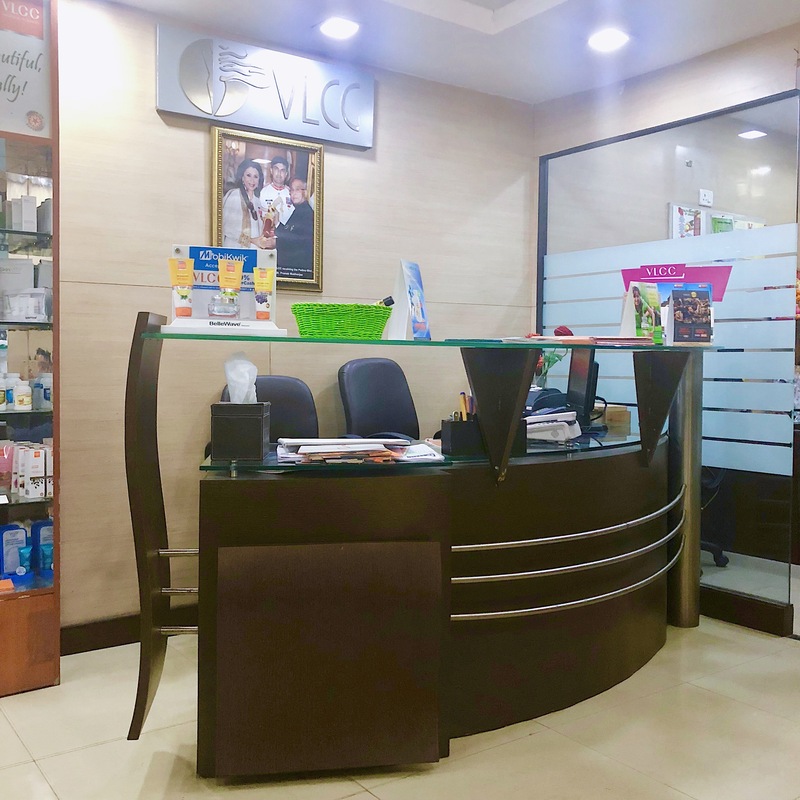 Now about my experience – I visited the VLCC, Malad Centre in Mumbai and was greeted warmly by their lovely staff. The consultant explained what the treatment was and all about its benefits. 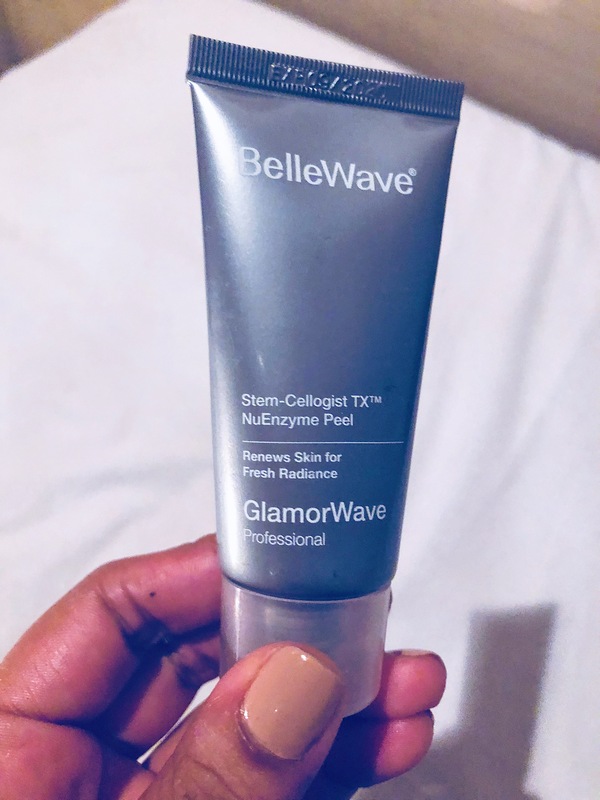 I really appreciate the fact that she asked me what my skin concerns were and further stressed on how the BelleWave Stem-Cellogist TX™ Facial Treatment was exactly what my skin needed at the time because it would address the issues with dehydrated skin, pigmentation and acne scarring. Once I was completely convinced, I was introduced to my beautician, Manisha, who escorted me to a room where the treatment would take place. I was given a change of clothes and a refreshing lemon water before we started the treatment. 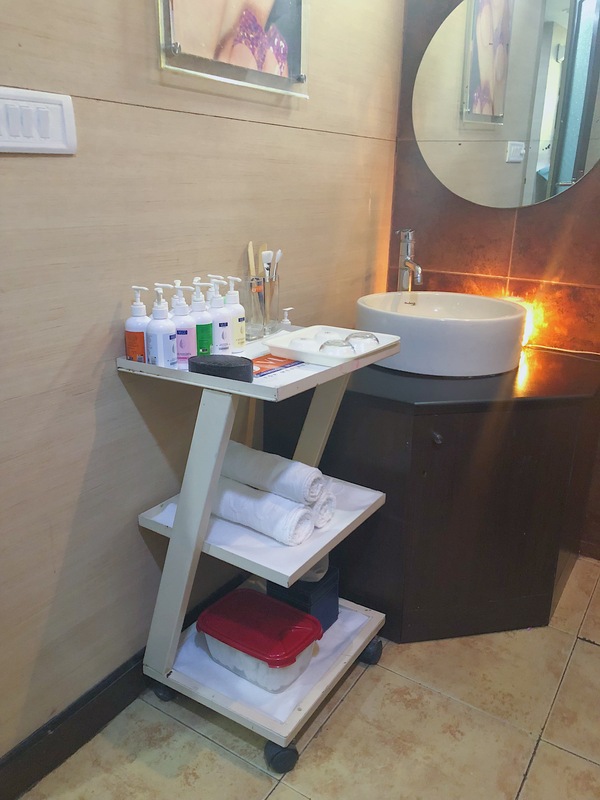 The room itself was very basic, yet neat and clean and Manisha showed me the products which she would be using in the entire Stem-Cellogist TX™ facial. We started off by double cleansing my skin to remove my makeup and all the dirt and impurities from my skin. Next, Manisha proceeded with Step 1 of the treatment, which was applying the Stem-Cellogist TX™ NuEnzyme Peel on my freshly cleansed skin. This peel contains both AHA as well as BHA, plus papaya enzymes to help dissolve all dead skin cells and promote skin renewal. The peel was left on my skin for about 8-10 minutes to work its magic and I felt the slightest bit of tingling in my T-Zone and chin area (I’m guessing that’s where I have the most congestion and clogged pores). The tingling is very minimal and nothing extreme and something that tells me that the treatment is actually working! While the Enzyme peel was working its magic, Manisha gave me a very relaxing (and much needed) shoulder and neck massage. After 10 minutes, the peel was wiped away and the beautician extracted the blackheads and whiteheads from my skin. Once again, this was perhaps the most gentle extraction procedure I’ve ever had during a facial and it did not hurt at all…a big thumbs up from me! 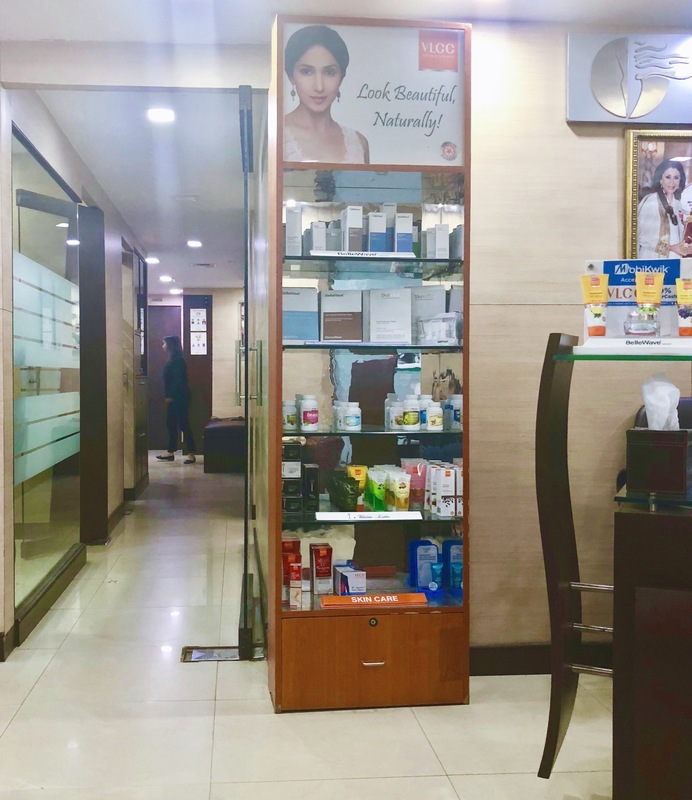 Moving on to Step 2 – the Stem-Cellogist TX LiftXpress Ampoule was applied to my skin and Manisha used light tapping motions with her fingers all over my face until the ampoule was thoroughly absorbed by my skin. This ampoule has TeloXtend-TX™ as the key ingredient that helps boost the skin’s ability to naturally restore vitality and combats ageing. Next, the Stem-Cellogist TX PhytoTensor Massage Essence I was applied to my skin, which is Step 3 of the treatment. I loved the soothing feeling as Manisha massaged this essence on my skin. The essence contains Multi–Phyto Extract that helps to instantly firm and lift the skin. She applied the essence multiple times (in small doses) to my face, neck and décolletage and massaged in upward, lifting movements until my skin absorbed all the essence. Next came Step 4, application of the Stem-Cellogist TX™ Sea Caviar Luxe Massage Cream II. This product contains unique sea caviar abstracts which help to build up and restore skin nutrition. 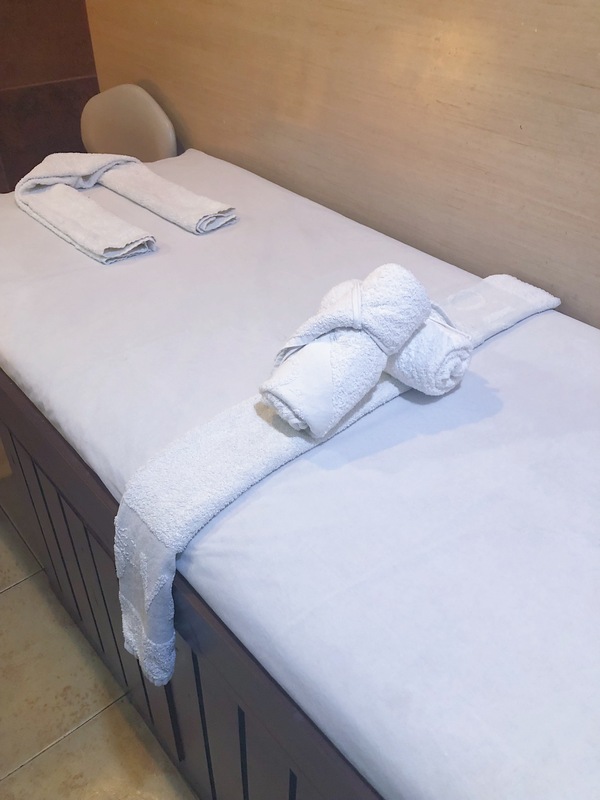 Once again, I loved the gentle massage as Manisha worked the cream into my skin… it was perhaps the most relaxing thing ever! Coming on to the last step, Step 5, in this facial treatment, the Stem-Cellogist TX™ Gold Champagne Redensify Mask + Activator was applied to my skin… how fancy does that sound?! This mask contains champagne extracts and is supercharged with antioxidants that help to boost the skin’s firmness and helps to rebalance and restructure the skin. This is a peel-off mask and felt very soothing and cooling on my skin. As the name suggests, it is a gold coloured mask that smells somewhat of fresh roses. Though I’d like to mention here that this mask covers your eyes and your mouth, so be warned if you are someone who feels suffocated easily. Manisha was wonderful and shared this information with me before she applied the mask to my face and neck. She left this mask on for about 20 minutes and pampered me further by giving me a hand and foot massage. 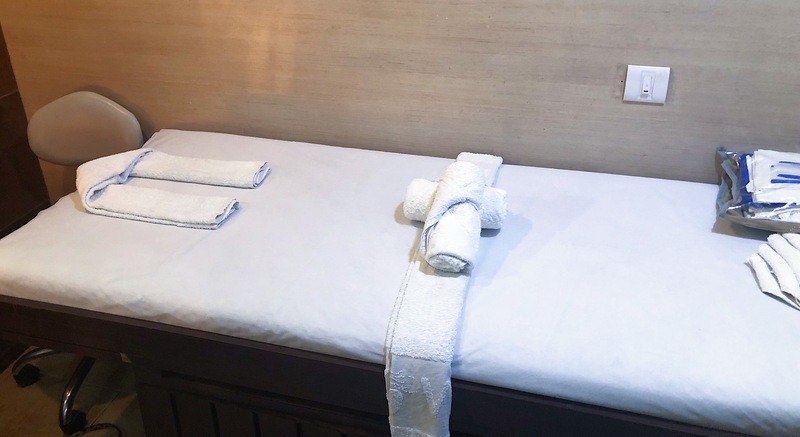 At the end of 20 minutes, the mask was rolled off my skin and Manisha ended the facial with applying toner, moisturiser and sunscreen on my skin and also gave me a mini back and shoulder massage (i felt truly relaxed by now!). 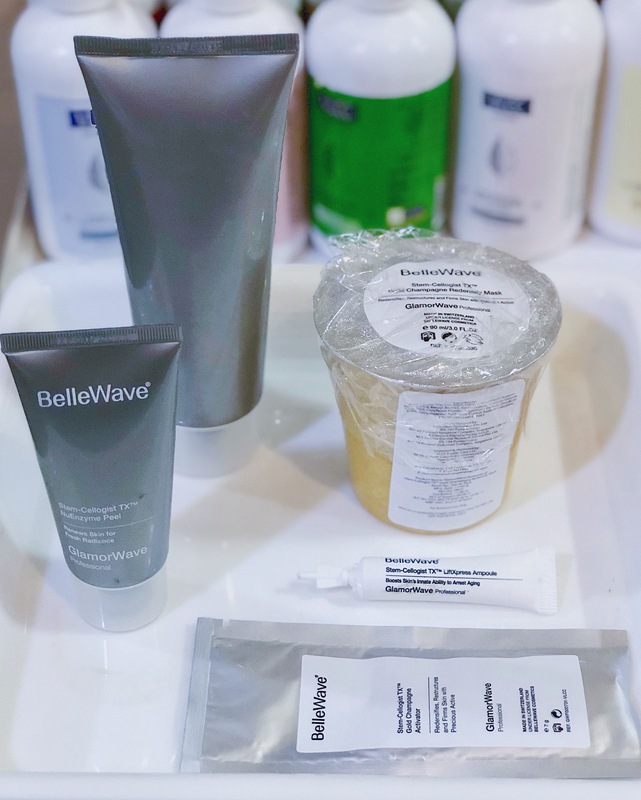 My final thoughts – I loved the BelleWave Stem-Cellogist TX™ Facial Treatment. I could see instant results – my skin was brightened and glowing and my face felt soft. Not just that I could feel my skin was more firm and lifted. Do I recommend the VLCC BelleWave Stem-Cellogist TX™ Facial Treatment? YES! This treatment was definitely worth it in my opinion and I highly recommend you get one done too – trust me you will be amazed by the result!